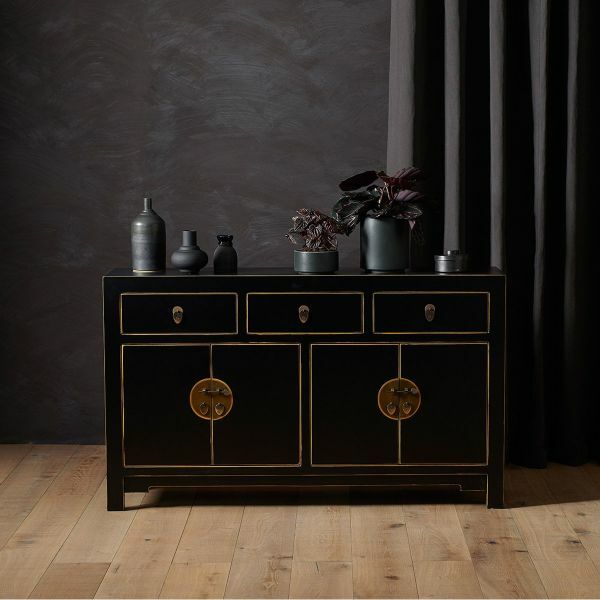 The perfectly proportioned large sideboard from the Nine Schools Chinese Collection would make a stunning statement to any living or dining room. 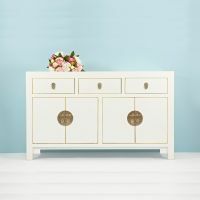 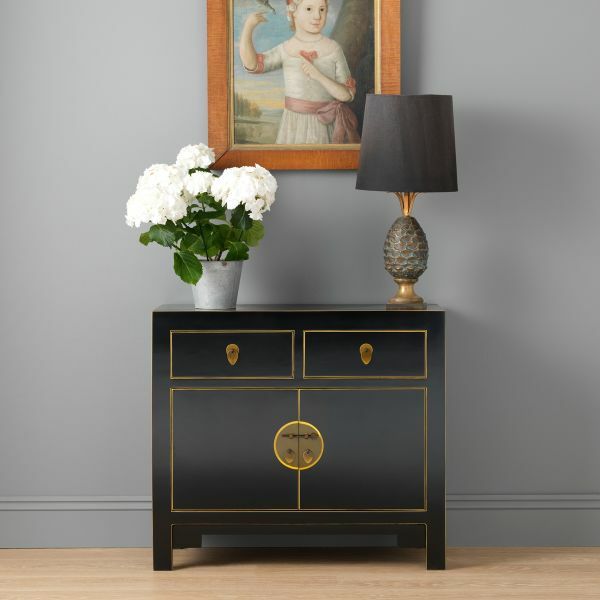 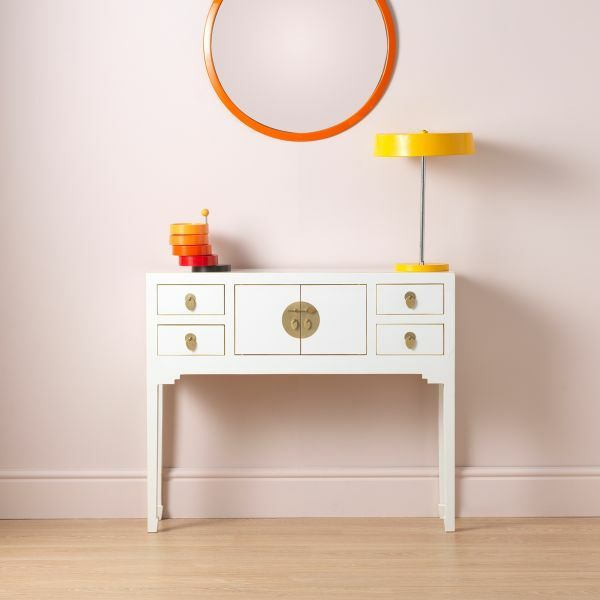 The sideboard has substantial amount of storage with two sets of double doors, each with a single shelf inside and three large drawers running along the top. 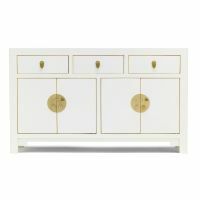 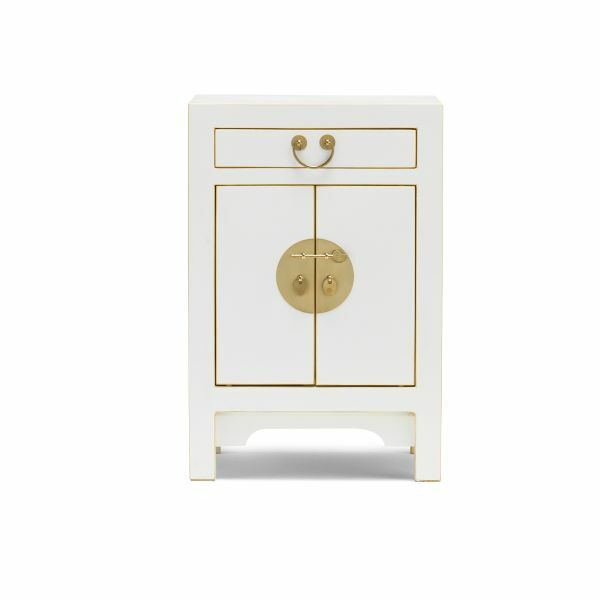 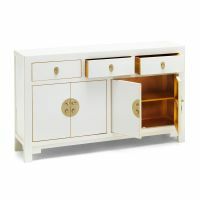 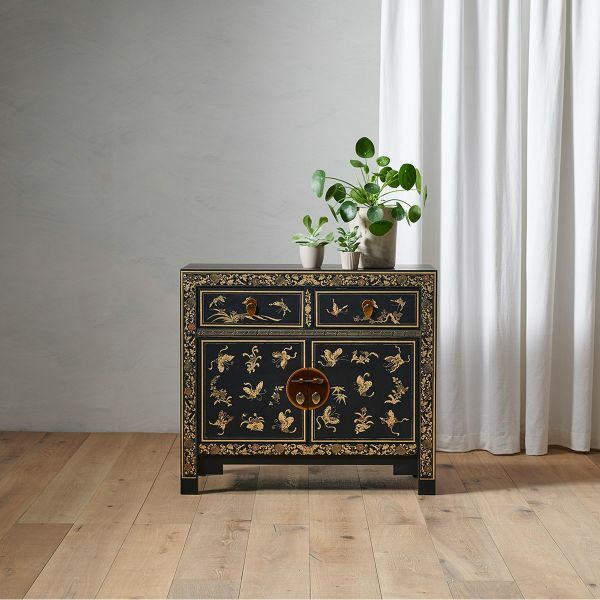 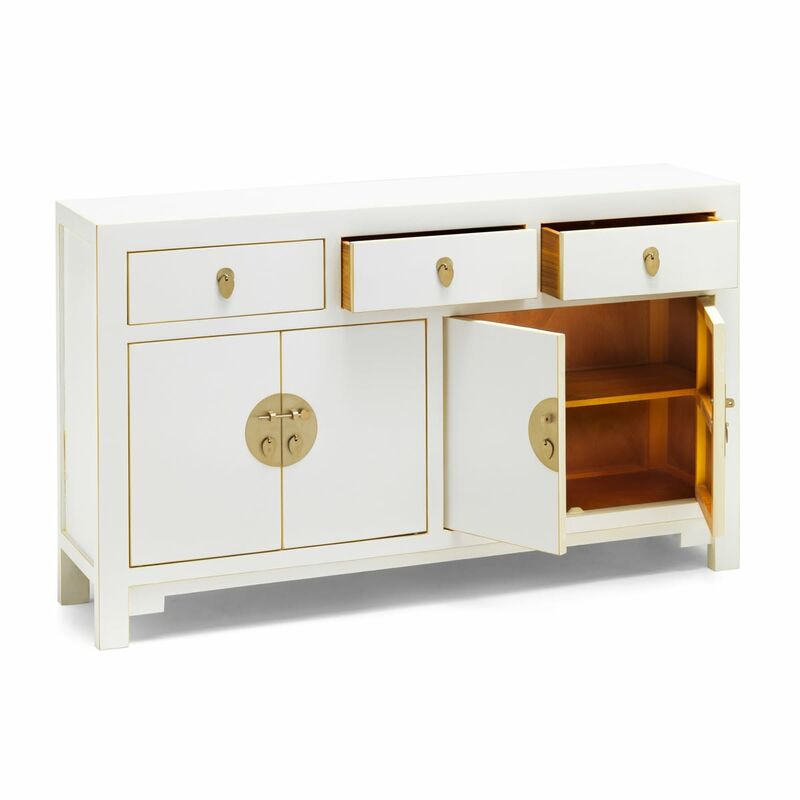 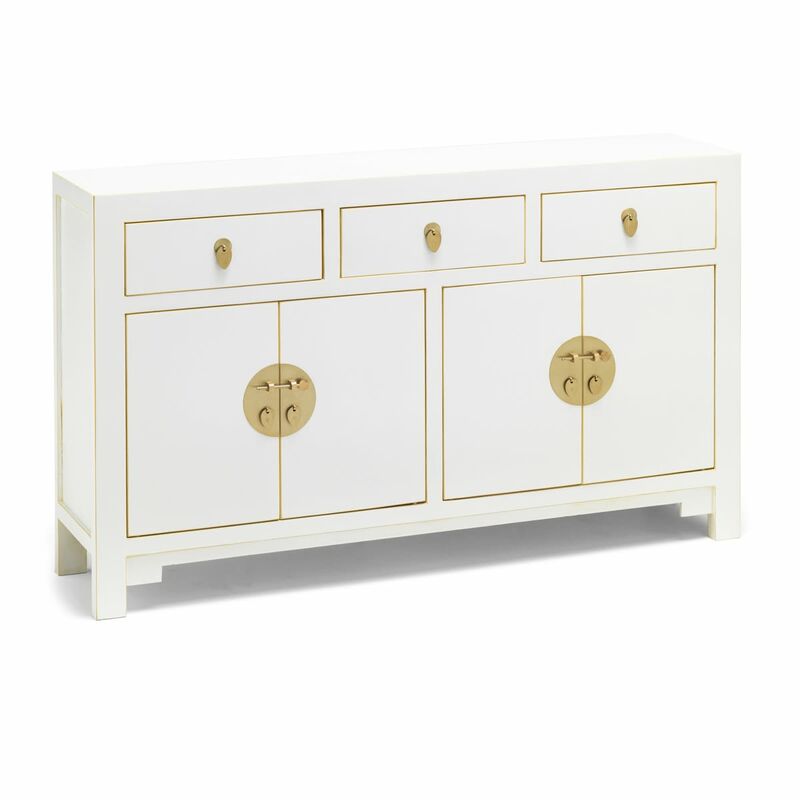 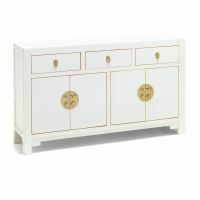 Channeling traditional Chinese design, the sideboard has a beautiful white colour and is hand finished with gold leaf around the edge. 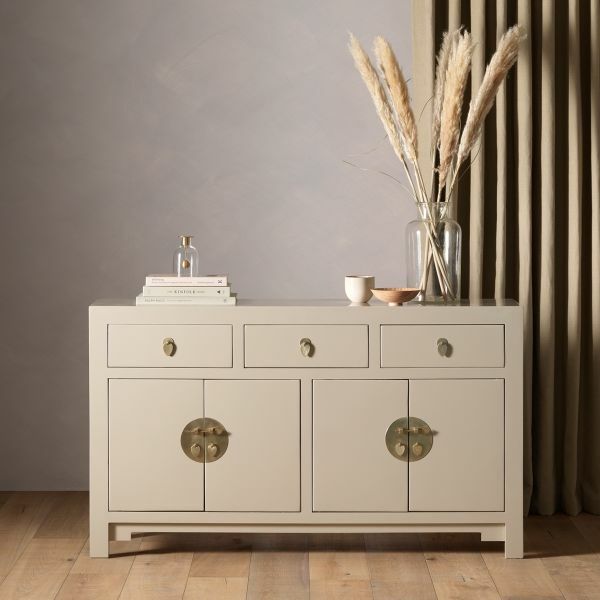 The design is further complemented with the antiqued white copper metal door and drawer catches. 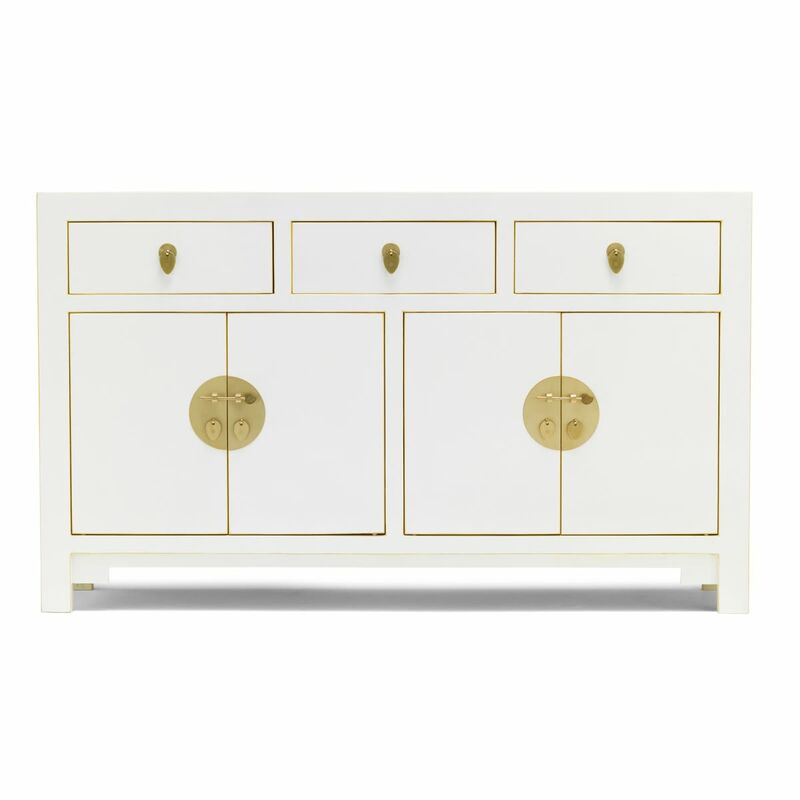 The sideboard is constructed from poplar wood is delivered fully assembled.